An illustration created as the official T-shirt design of the parkour event "North Carolina Floor Jam 2016". This event was named after the "tradition" of parkour athletes staying at a local volunteers home and sleeping on the floor... despite how much floor space was actually available. 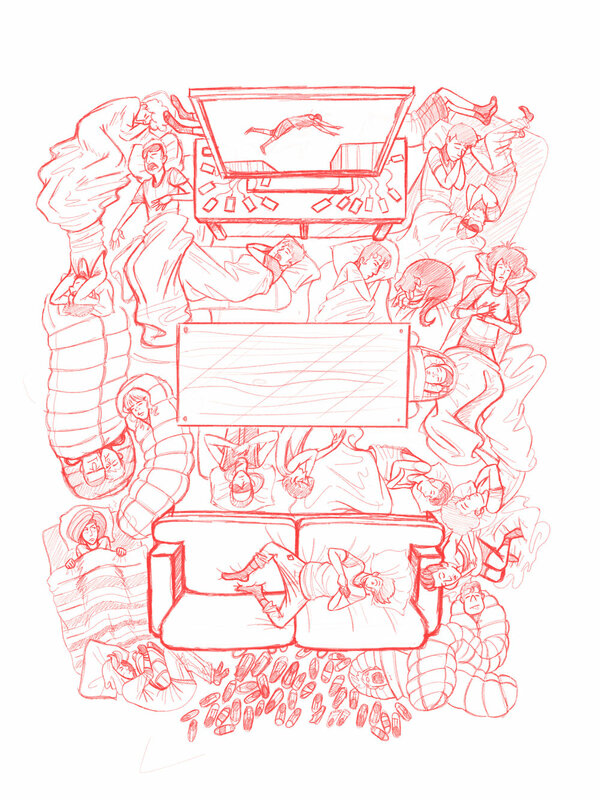 Being involved with the parkour community for almost a decade, my goal with this piece was to create a design that captured the sleeping situation of a parkour jam.